Why should Conservatory Magazine readers come to your stand this year? They will be assured of a warm friendly and professional welcome. Be they a direct long time user, a customer of an Ultraframe fabricator or indeed someone who uses alternative systems and just wants to check out what their local competitors use, everyone is welcome. Whilst we always stress the importance of checking out the products on our stand, one of the main reasons for coming to Glassex is to meet up with all the staff that are in attendance. In the course of an hours attendance at the show, retailers can meet sales, technical, marketing and training staff. This is an extremely efficient use of everyone's time. Ultraframe will be featuring all of it's mainstream recently announced products, including Veranda, aluminium roof and cornice, the flat roof perimeter orangery and the Super Duty Eaves Beam and 'engineered for conservatory' bi folding doors. In addition to the host of very recently launched products, retailers can sit and see demonstrations of the U-Design software. 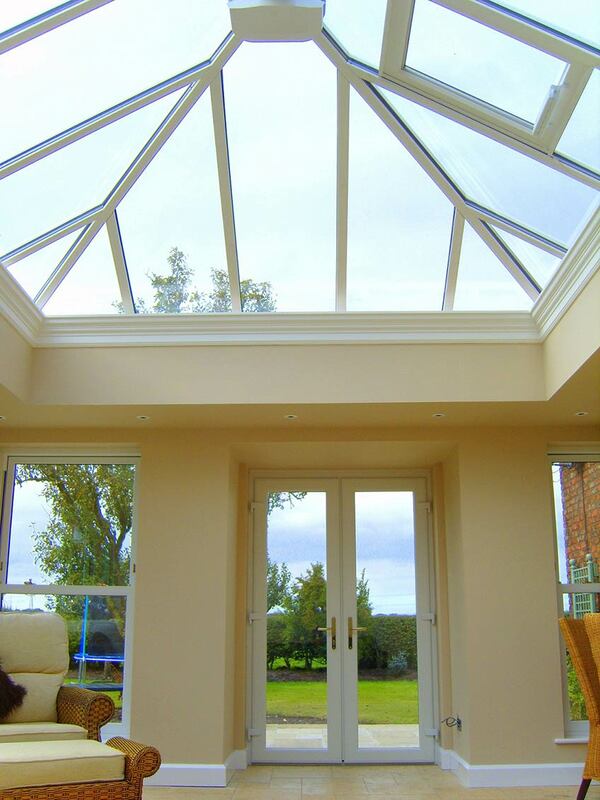 It allows retailers to design, price and specify conservatories, taking into account the wind and snow loads at specific addresses through the weather data licensed exclusively by Ultraframe from the Building Research Establishment. And - in a first for many years - Pilkingtons is attending Glassex. They are supporting Ultraframe's efforts to market the Conservaglass brand. Ultraframe's glass brand only features Pilkingtons flat glass and it is made in Pilkingtons existing and new dedicated roof glass factories. Sales and technical personnel will be on hand from Pilkingtons to support Ultraframe's 'one stop shop' for roof and glass. What will be there that is different to last year? Last year Ultraframe displayed many concept ideas that were to wet the appetite of retailers. Following feedback and actual voting on the stand as to which products made it and which were culled, this year everything on display is on sale. Retailers visiting the show can discuss prices for all the products on display. And - as outlined above - we are being supported by Pilkingtons whose staff will be assisting Ultraframe in promoting the one stop shop. There will be new retail support literature for both the Veranda and Conservaglass. And - making its debut at the show - will be the introduction of Irish Oak foil. Currently we are the only roofing system able to offer this option and it is proving popular amongst frame suppliers so the demand for roofs will follow. Taking time out of 'work life' to exhibit in a show costs a lot for any company . Why do you think it’s important to exhibit? Physically exhibiting our products is just one of a multitude of methods of interfacing with customers and prospects. At any one time Ultraframe uses any number of these methods ( email campaigns, traditional 'snail mail', above the line advertising, PR, one to one sales visits etc) and at the moment attending Glassex is one of the methods we choose. In the future, we may attend more exhibitions ( there are more candidates in EcoBuild, Grand Designs, Homebuilding & Renovating) or we may not attend at all. It all depends upon what our corporate objectives are. Exhibiting allows one to one contact with a wide cross section of the product user data base. Whether it's retailers, trade intermediaries, self employed sales persons or fitters, there are elements of the messages that can be tailored to suit. 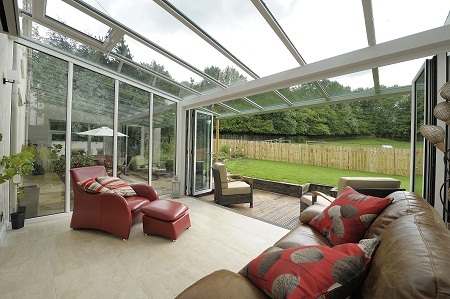 Having a customised stand allows us to implement strong physical branding in a way that we don't usually get chance to do ( when an Ultraframe sales person is selling from a sample case) and the provision of full size conservatories allows all users - irrespective of knowledge - to see and examine the things that make Ultraframe different to alternatives on the market. It also gives us the chance to inspire retailers with a peak into the future. What is the highlight going to be on your stand this year? As last year - when we won 'Best in Show' category - it will be Veranda. This is another chance for retailers to see just one of the most inspiring shapes to hit the sector in years. As Matthew Glover, MD of Conservatory Outlet, one of the biggest growing retail chains in the country said last year when he saw Veranda, “When I walked on to Ultraframe's stand at Glassex last year I just knew I had to have a Veranda. The existing foiled conservatory I had on my home looked tired and I had already changed my windows for cream PVC ones which looked stunning .It's fair to say that my wife and family love the new Veranda, and the addition of the full width doors improves access to the garden and at the same time integrates it more into the home". Retailers should be prepared to be inspired! View a copy of the article as seen on Conservatory magazine.